When you live in a place where there is not that many falling leaves for fall and no snow for winter you look at seasons by the fruit or vegetables available to eat, at least I do. 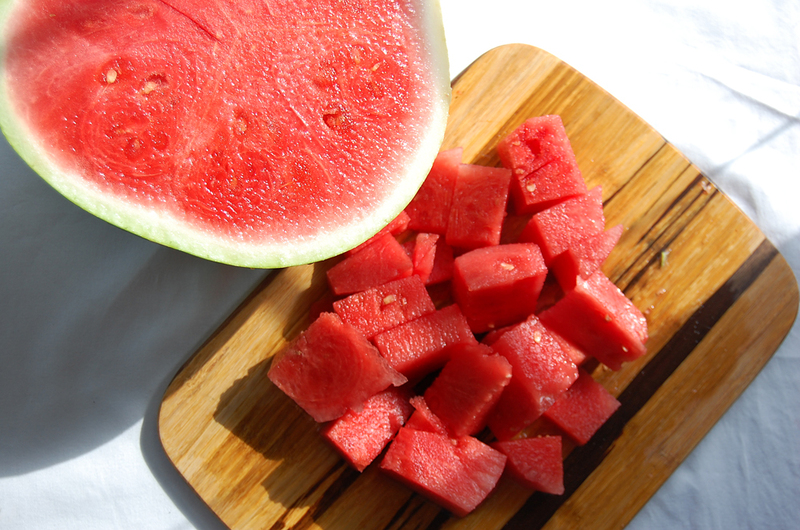 So for the last few weeks I have been eating a lot of watermelon. Aguas frescas, basically fruit sugar and water made into a drink are a good thing to do when you have some fruit leftovers. 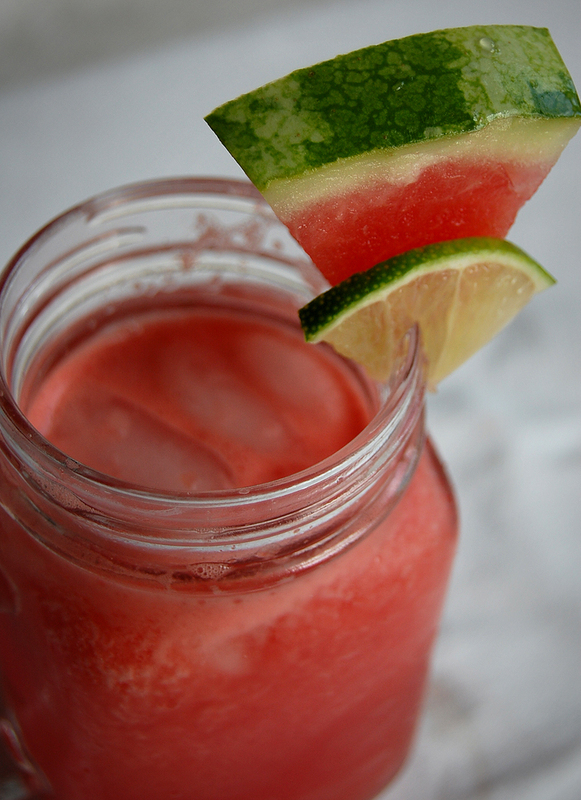 Now this is not really a recipe per se but more of a reminder that watermelon is in season and is hot outside so you should buy some and make some good agua de sandia (watermelon water). 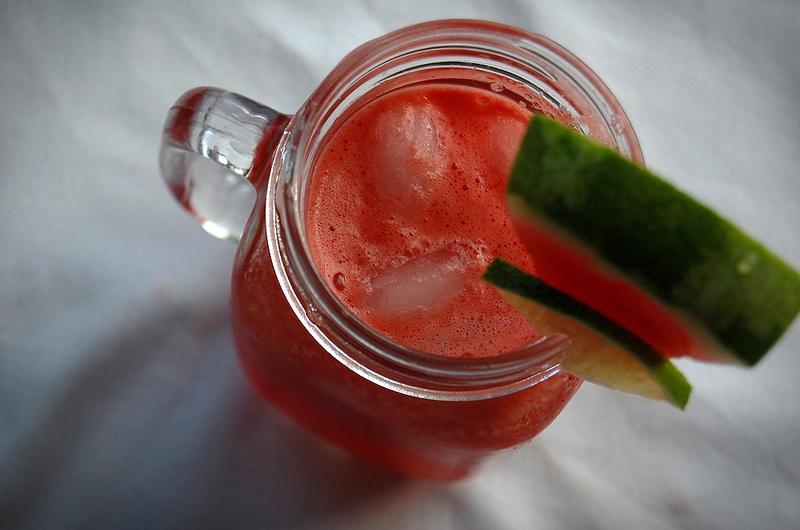 Mix all ingredients in a blender and drink, if your watermelon is cold mix water and sugar first then add the fruit. I was raised in San Diego. Aqua fresca and horchata are two of my favorite things! Pingback: JOSÉ MARÍA MEDINA ESTEBAN.UN POETA PARA EL CORAZÓN. | "VENTANAS A LA POESÍA"
Pingback: JOSÉ MARÍA MEDINA ESTEBAN.UN POETA PARA EL CORAZÓN | "LA LIBERTAD ES PARA SOÑARLA"
Pingback: JOSÉ MARÍA MEDINA ESTEBAN.UN POETA PARA EL CORAZÓN | "EL POETA NOCTÁMBULO"
Pingback: JOSÉ MARÍA MEDINA ESTEBAN.UN POETA PARA EL CORAZÓN | "EL CARACOL Y LA ESCALERA"